Bellitte Bicycles prides itself on finding the perfect bike for each individual customer. With over one hundred bikes on display, and thousands in stock, Bellitte’s can accommodate riders of all sizes and skill levels. 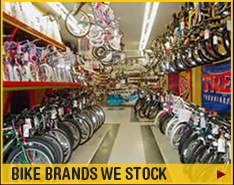 We carry men's and women's mountain bikes, road bikes, comfort hybrids, fitness hybrids and multi-sports. As well as, a large selection of children's bikes, BMX and freestyle bikes, fixed gear bikes and folding bikes. When you purchase a bike at Bellitte Bicycles you are purchasing a product that we stand behind. 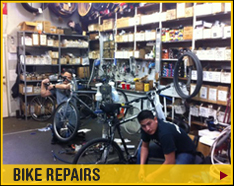 All new bikes are covered under a manufacturer warranty, as well as, our adjustment warranty. Please ask your sales representative for more details. We stock a large variety of bicycles capable of fitting any budget. 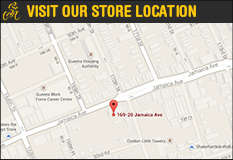 At Bellitte’s we assure our customers the best prices by offering our Low Price Guarantee! So come on in and find the perfect bike for yourself, a family member, a friend, or anyone else. These are the brands of bicycles that Bellitte Bicycles carries. If we do not have a specific model in stock we may be able to special order it for you.